Most tax departments spend 80 percent of their time collecting and manually inputting data and 20 percent reviewing it. Using tax technology, you can flip those proportions and transform how you gather, use, store and reuse data across your global tax processes. 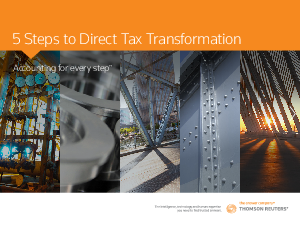 This step-by-step guide discusses how technology can convert each challenge in your tax lifecycle to an opportunity for your success. Download today!